Do you dream of flying wherever you wish, just like a beautiful butterfly? 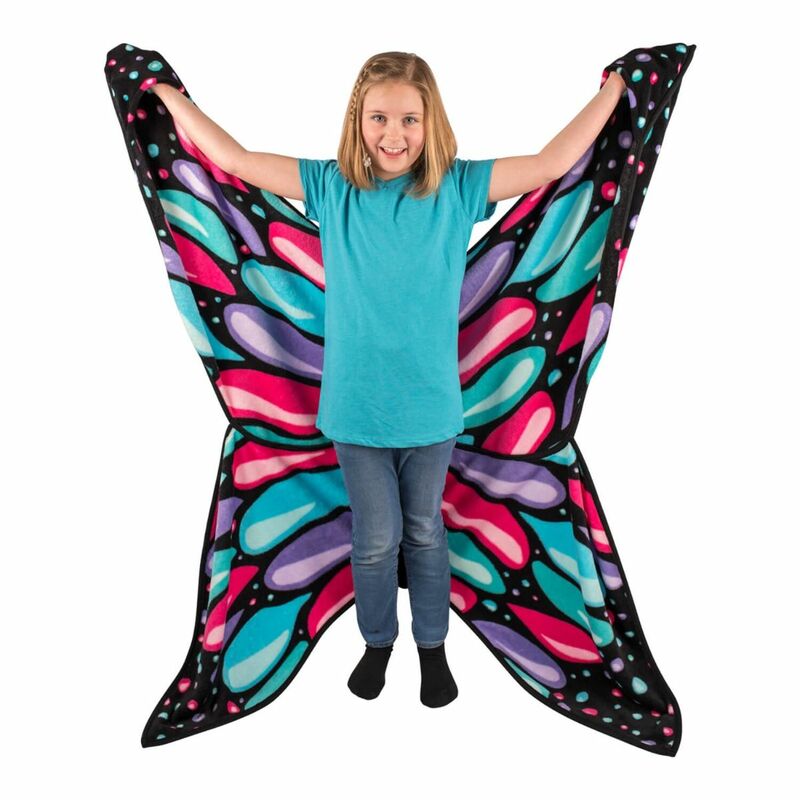 With Fin Fun’s Flutters Butterfly blanket featuring hand pockets in its colorful wing tips, kids can flutter here, there and everywhere. 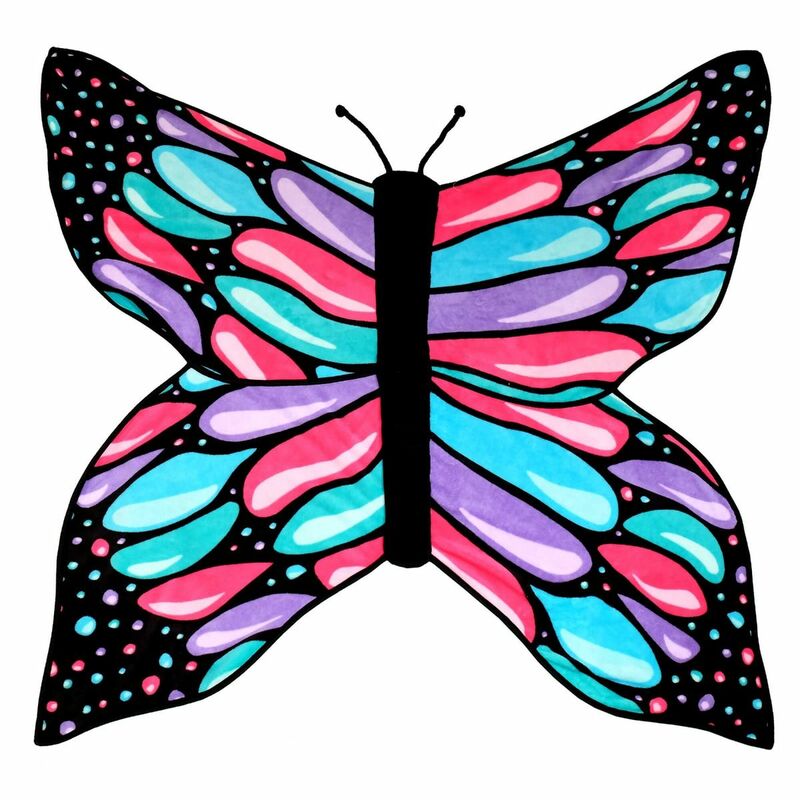 Colorful butterflies have long been a favorite of young dreamers. 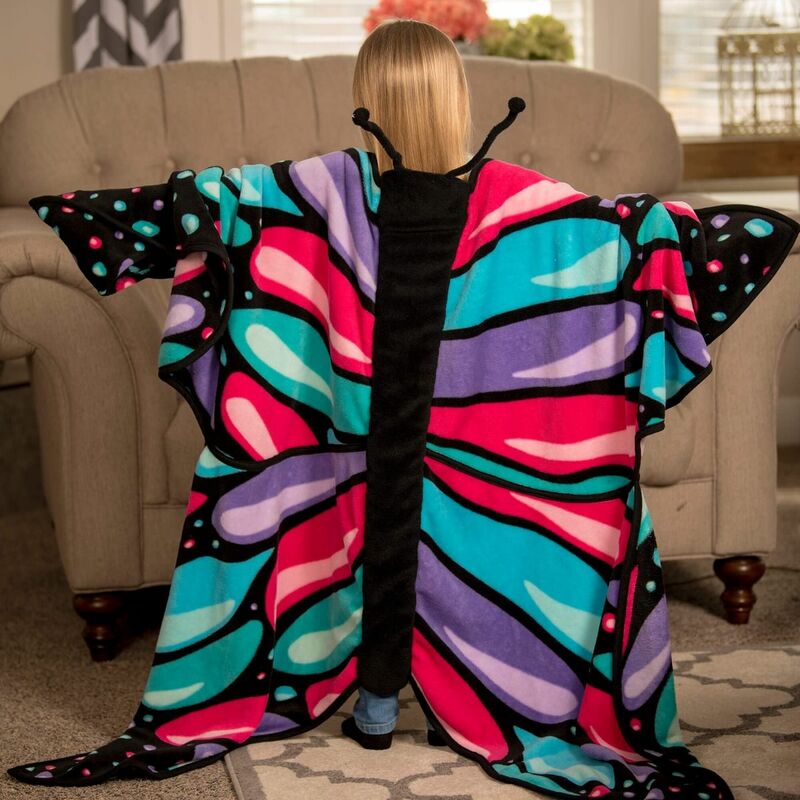 Now your little one can transform into a vibrant wild butterfly in the blink of an eye with our Flutters Butterfly blanket. 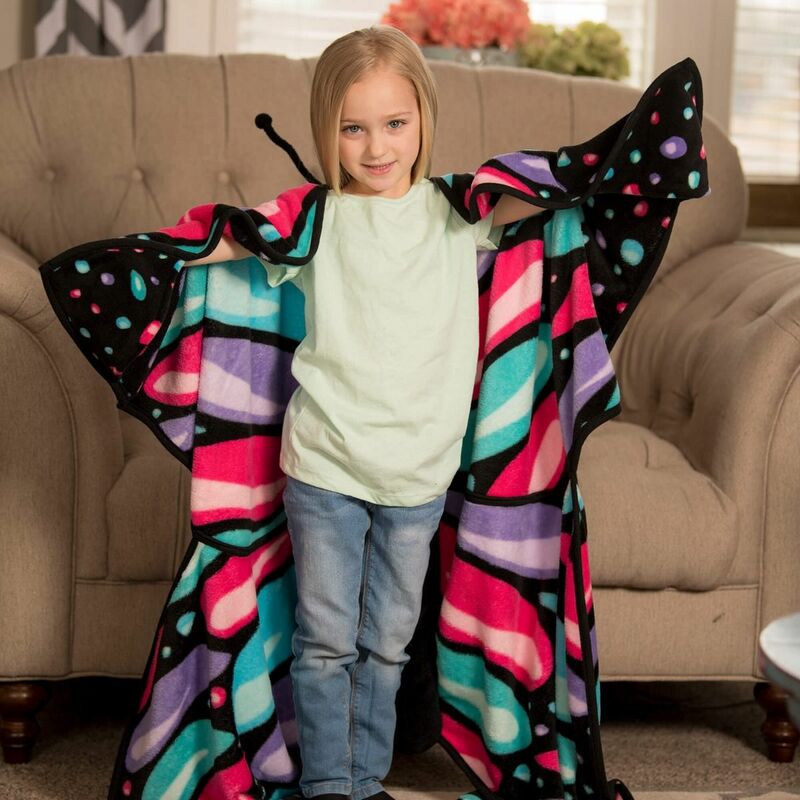 They’ll love flapping their wings and imagining life in a whimsical way with our cozy, multicolored butterfly throw that’s literally at their fingertips. 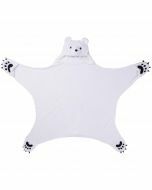 Hidden hand pockets at the wing tips allow kids to spread their wings and let their imagination take flight! 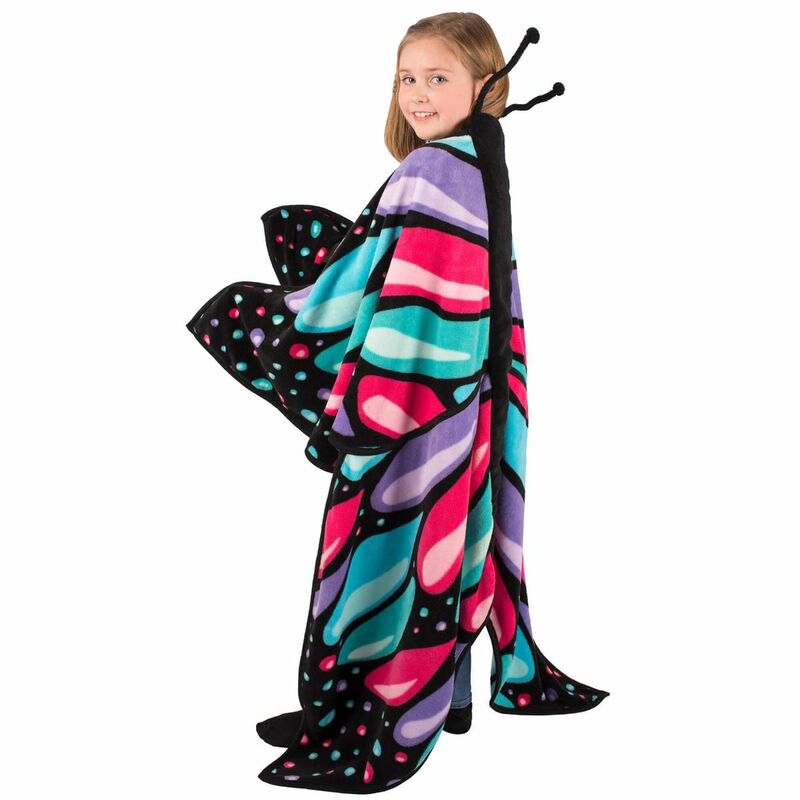 Decorative, shapeable antennae further the imaginative qualities of this cozy butterfly blanket for kids. 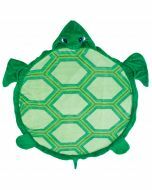 Fin Fun’s Wild Things animal blanket collection keeps kids warm while providing the perfect opportunity for pretend play. 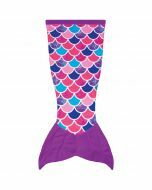 Choose from over a dozen different characters to appease your child’s wild side! 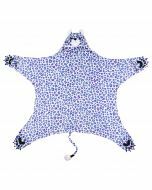 Plus, our wearable blankets make a versatile travel companion for those times kids seek cozy comfort. Care Instructions: Machine wash on the gentle cycle in cold water. 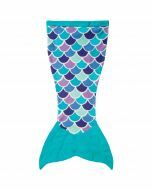 Tumble dry low or hang to dry. Avoid ironing, as high heat can damage the material. No need to use fabric softener—our Wild Things blankets remain soft after washing.